Prototype for the infinity box. The effect results from LEDs sandwiched between mirror and mirror-pane glass. This is the run at an idea I had over a year ago. 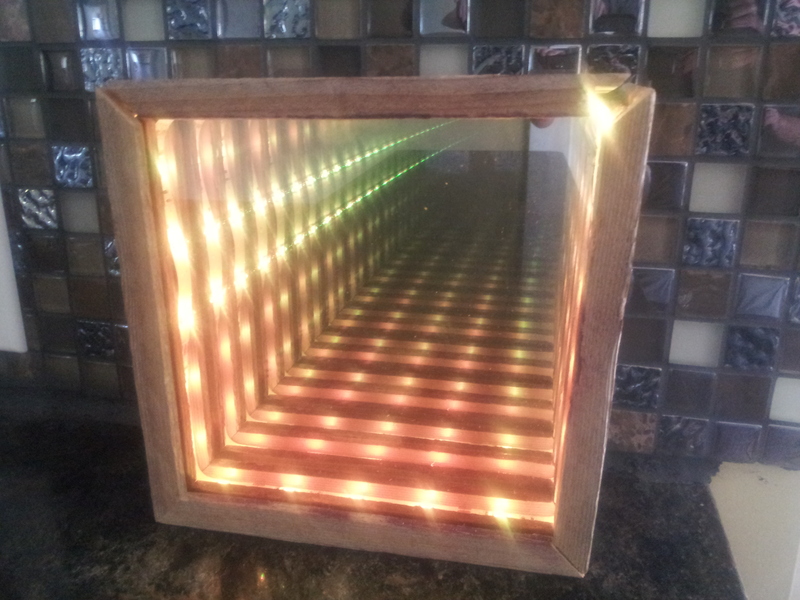 Using old fence wood, LEDs, and two types of mirror, I was able to create a this tunnel effect.